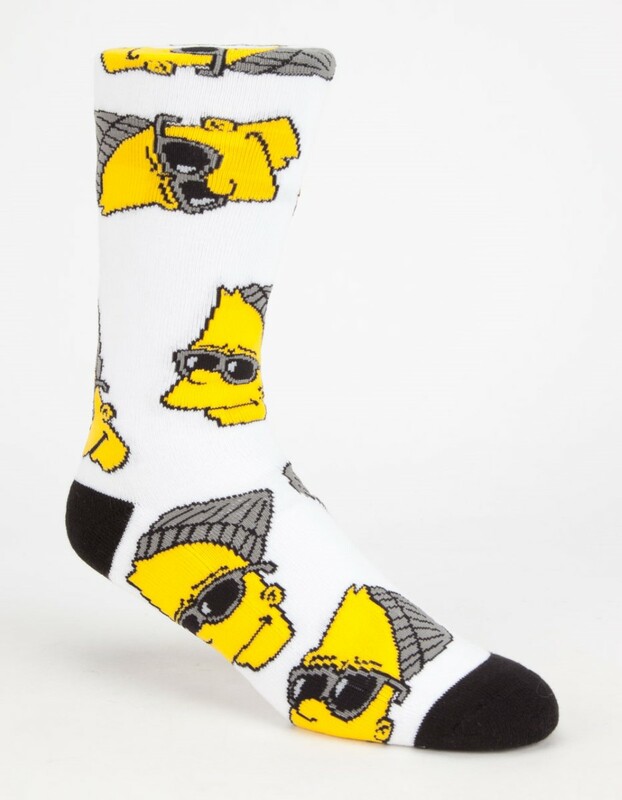 Neff x The Simpsons Steezy Bart crew socks. Allover steezy Bart Simpsons graphic. 68% cotton/24% polyester/5% rubber/3% spandex. Machine wash. Imported.